Anyone Have These Retro Grips??? How is grippiness? Thickness? Thanks. Re: Anyone Have These Retro Grips??? Not those ones. I do have plastic retro waffle grips and they match what shipped in the 70's and early 80's, although a slightly different material. (They were molded from Vidiots original 1977 short rail grips). I have the “silver-gray-white” ones from a few years ago. Should be from the same outside manufacturer contracted by CZUB according to the salesperson at the CZUB store. The back end slats provide some grippiness but not much from the dots. Doesn’t add too much thickness. Sorry for the vague report but I haven’t tried them in a long time and I currently don’t have access to them. I put these on a Tanfoglio and they worked. My overall feeling is that they are mostly for looks. The original grips like this were very poor. (I mean the OEM CZ grips from the late '70s.) I sold mine to a collector. The OEM versions were made from a hard plastic that is hard to describe now, because no one makes this sort of brittle plastic anymore. It was comparable to the plastic used as fake glass on Mattel toys in the late '60s-early '70s. These grips are not desirable for actual shooting, due to the poor texture, material, and odds of breaking them when removing for routine cleaning/maintenance. A modern company making this design is probably doing this for the cosmetic appeal, as others mentioned. The material would have to be better, because no one would deliberately recreate that type of hard plastic. It would be very hard to make on a small scale with modern injection molding. That said, the basic design is very poor, as it has poor texture, poor grip indexing, etc. I believe this type of OEM grip is hard to find, precisely because no one actually shooting these pistols would use them for long... 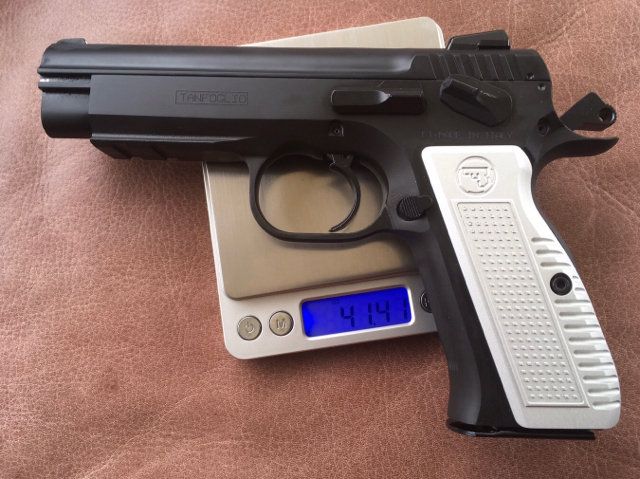 Even the so-called "ergonomic" hard plastic grips that came on the CZ contract pistols for the Turkish military and police were better. I understand and even have the originals (need to find them again). I just heard that these were thinner - the aluminum ones. I agree that the originals dodn't do much for the ergonomics. Thanks.